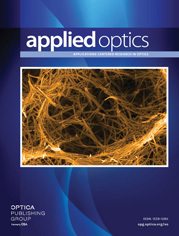 The authors are with the Optics and Fluid Dynamics Department Risø National Laboratory, DK-4000 Roskilde, Denmark. In this comment, we clarify some serious misinterpretations that can arise from an uncritical use of the results presented in [Appl. Opt. 41, 2607, (2002)]. In particular, we point out that their suggestion of using “illumination beyond the object support” for measuring phase disturbances can result in distorted or strongly inaccurate interference patterns. We also point out that Llave and Castillo have misinterpreted our previous work describing the effect of phase object fill factor on the output interference patterns, which is in fact one of the key factors considered in the generalized phase contrast (GPC) method. Unlike the Zernike method, the GPC method results in an optimized visualization of the phase disturbance by the achievement of a matching condition between the applied filter and the spatial average of a given phase disturbance, thereby implying the optimal use of fill factor information.